Background: Fever is usually associated with malaria parasitemia, and it is recommended that febrile children below the age of 5 years be treated with antimalarials. 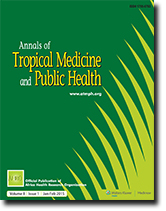 This study was undertaken to obtain information concerning the relationship between fever and the prevalence of malaria parasitemia among Nigerian children. Materials and Methods: Blood specimens from deep finger pricks of 730 children aged 0-2 years were examined for parasitemia using the Field's stain method, and the axillary temperature of each subject was measured. Results: Malaria parasites were observed in 26.1% of the afebrile children and 40.6%, a statistically significant difference, in febrile children. Furthermore, 59.2% of the febrile subjects had no detectable malaria parasites in their blood. Conclusions: Fever is not always indicative of parasitemia, and subjects with asymptomatic infection must be regarded as a significant reservoir of transmissible malaria parasites within the study environment. 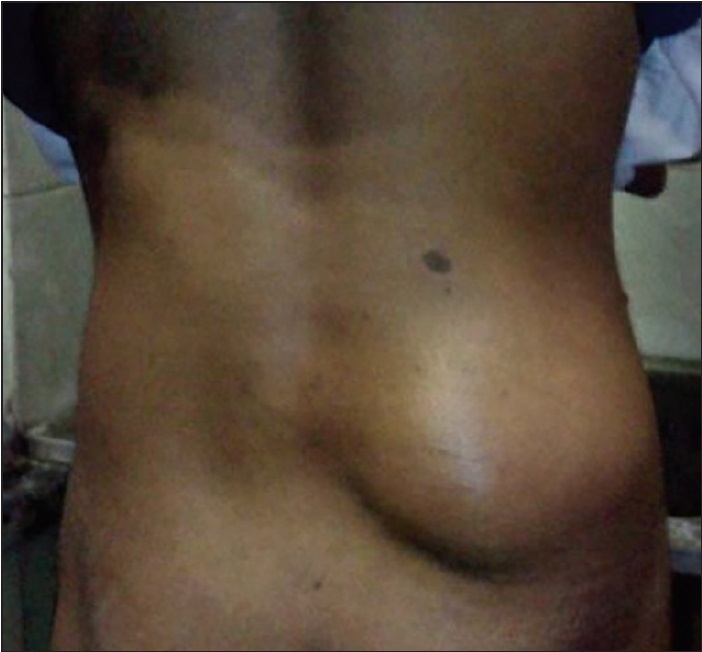 Bilateral iliopsoas abscess is an uncommon presentation of Pott's spine. We recently cared for a young, immunocompetent male who presented with a right paravertebral swelling. He had been on antitubercular therapy (ATT) for 6 months for pulmonary tuberculosis. On computerized tomography (CT), the patient was found to have Pott's spine as the primary pathology with extensive iliopsoas abscesses bilaterally. The aspirate from the swelling grew Mycobacterium tuberculosis, which was resistant to isoniazid and rifampicin. He was then started on appropriate drugs according to sensitivity reports. Our patient was a rare case of a young, immunocompetent male who presented with large bilateral psoas involvement due to Pott's spine. This was not associated with any neurological deficit. The organisms were multidrug-resistant, even though the pulmonary lesions had resolved after being on ATT for 6 months. To conclude, for any tubercular patient presenting with paravertebral abscess or back pain, Pott's spine should be considered among the differential diagnoses, especially in endemic regions. Tubercular culture and sensitivity should be done in all such cases due to the widespread prevalence of drug-resistant forms. This is a case report of asymptomatic human ocular thelaziasis that was discovered accidentally just before a planned cataract surgery. A 69-year-old farmer from a rural area presented to the outpatient department of Ophthalmology with diminished vision in both the eyes, which was diagnosed as bilateral cataract. On the day of operation of the right eye, after instillation of 4% lignocaine hydrochloride eyedrops, a small, motile, chalky white, translucent worm was removed from the conjunctiva. It was morphologically identified as a female Thelazia callipaeda (T. callipaeda).